Loved her role in Ace wo Nerae. She's a real beauty indeed. Liked how she changes the mood of the scene. Was also surprised when she played the part as fiancee of Tsukasa Doumyouji in HanaDan. I will yet to see her in Attack #1 and other promising dramas. 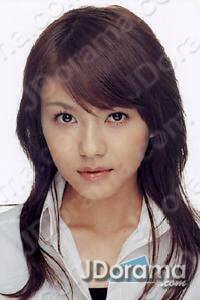 she's really pretty and love her acting in Attack No. 1 & Hana Yori Dango! she is pretty n sporty~! nice performance in Waterboys 2005 Summer~!!! She is a very rare gem, unpolished yet have lotsa of potential. What a good charismatic actress!! She has big eyes! Cute girl.